Morning Dew Guesthouse was built from the ground up for the traveler in mind. 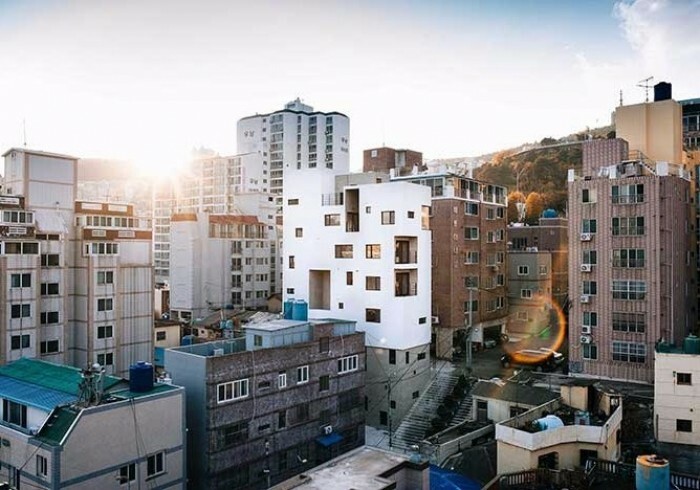 Conveniently located just 3-5 minutes’ walk away from both Busan Metro and KTX stations, the guesthouse is not only easy to locate, but also provides great panoramic views of Busan. You’ll find yourself well-positioned among various forms of public transportation and city tours, an excellent hub for visiting the many tourist attractions in Haeundae, Gamcheon Village, Nampo-dong, etc. Getting to and from other cities is also a simple affair, with our close proximity to the main KTX station as well as the airport limousine services. Our rooms are spacious and designed for you to enjoy the beautiful views of Busan straight from your guest room. Relax by the panoramic windows, chill out by the balcony, or simply enjoy a morning beverage in our dining lounge and plan for your day. As travelers too, we know what we dreadfully wanted in a guesthouse, so we made it all possible for you. And when the day is over, take a great night’s rest in the privacy of your own room, and wake up to a great morning, recharged and ready to go again.